Today we met Union Power Minister Sh. Jyotiradiya Scindhia to highlight and discuss the issue of soaring power tariffs in Delhi & other irregularities in the sector and how this has caused great harassment to all sections of the society in Delhi. Yesterday, the three corporation presented Rs 51 lakh to wrestler Sushil Kumar for his performance at the London Olympics. The event was held at the Talkatora Stadium on 24th September, 2012. 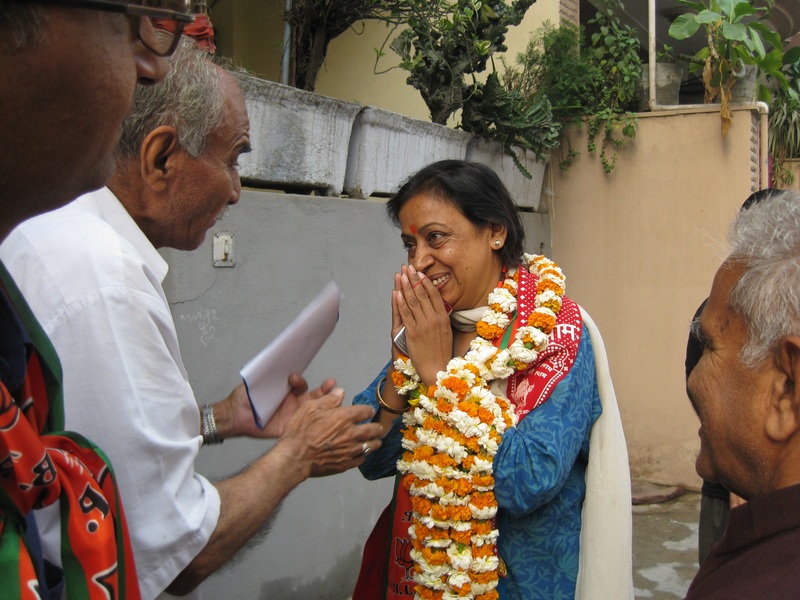 Three-time councillor Meera Aggarwal was on (30th April,2012) Monday elected unopposed as the Mayor of the newly created North Delhi Municipal Corporation (NDMC). 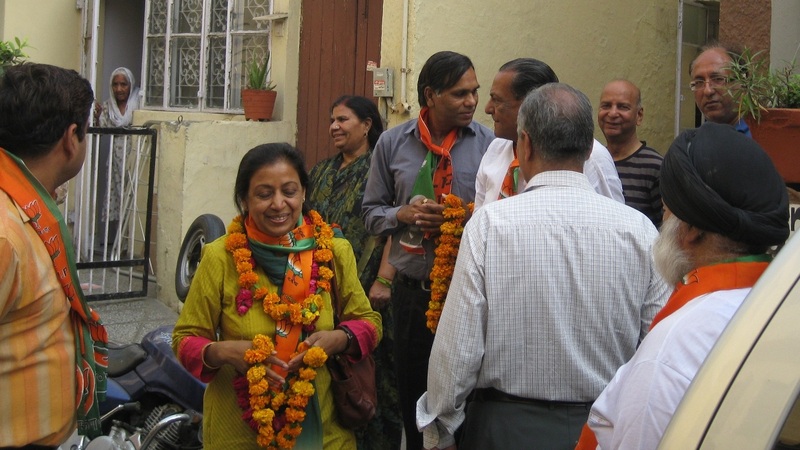 BJP candidate from Ward no.66 (Sawan Park), visited Shakti Nagar Ext. area on Thursday morning. Residents of the area gave her overwhelming response. She highlighted that inflation and corruption are most important issues affecting our lives directly, today. People have joined anticorruption movements led by Sh. Anna Hazare and Baba Ramdev voluntarily, in such large numbers. She further emphasized that in today’s circumstances inflation and corruption are very much local issues and people should consider these along with other local issues while electing their representative. Smt. 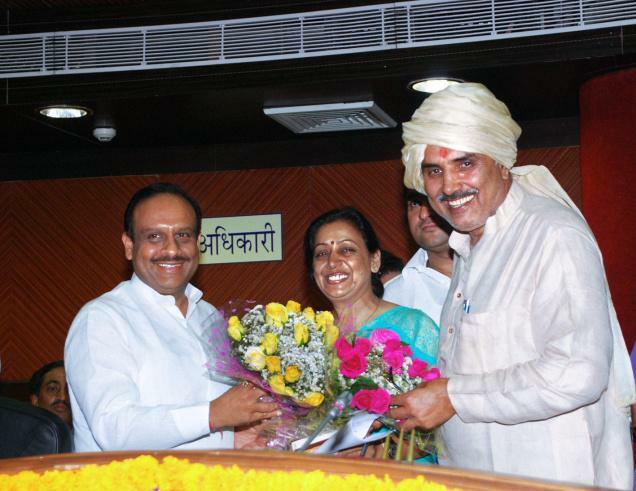 Mira Aggarwal was accompanied by sitting MCD councilor Sh. Devraj, former councilor Smt. Kanak, BJP Sawan Park Mandal President Sh. Nitin Batra, Sh. Anil Sharma, Sh. Parmanand Sharma, Smt. Usha Goel and many prominent people of area. Her team also conducted door to door campaign in PWD flats of Ashok vihar PhaseIII and they got tremendous support there too. BJP Candidate Smt. Mira Aggarwal from Sawan Park (Ward No. 66) of Delhi MCD, today visited Bunkar Colony and Bharat Nagar. She was accompanied by MCD councilor from the ward Mr. Devraj, Former councilor Mrs. Kanak Aggarwal, prominent leaders of the ward Mr. Anil Sharma, Mr. Chandan Sharma, Mr. Ashutosh Gupta, Mr. Paramanand Sharma and many others. At the Bunkar Chowk, she was welcomed & joined by residents of the area in very large no. under the leadership of young leaders Mr. Dishant and Mr. Santosh. At the culmination of her Padyatra, she addressed the people and emphasized that more and more women should participate in social activities. With 50% reservation of seats for women candidate in MCD, now there are more opportunities for women to enter public life and this is an opportunity to propagate values and fight against corruption in the system. Her team also visited Janta Flats, Ashok Vihar Phase-III where they got an overwhelming response and people assured that the merits of the candidate are most important. Election campaign of Mrs. Mira Aggarwal, BJP Candidate from Ward No- 66, Sawan Park of MCD is progressing ahead efficiently and smoothly. Today their team visited Shakti Apartments and the residents assured them they will support the experienced and educated candidates only. 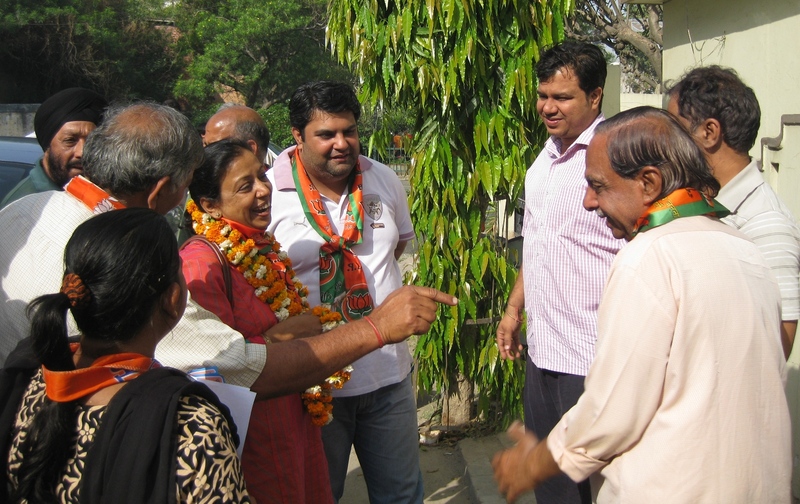 Mrs. Mira Aggarwal did a walk in Bharat Nagar area of her constituency. She was joined by former councilor Mrs. Kanak Aggarwal, sitting councilor Mr. Devraj, BJP Sawan Park Mandal president Mr. Nitin Batra and many prominent people of constituency including Mr. Anil Sharma and Mr. Ashutosh Gupta. She was welcomed by residents of the area in large number.